is a community organization led by volunteer coaches dedicated to providing a positive experience for young ladies. The cheerleading squads, which make up Louisiana Youth Cheerleading, are groups of beautiful, unique, talented young ladies brought together by a passion for cheering. Cheerleading is a TEAM sport. Cheerleading provides opportunities for ALL participants to gain a sense of belonging, develop friendships, develop social skills, and promote outstanding academics, mental, & physical fitness. If you have any further questions, please feel free to contact us. 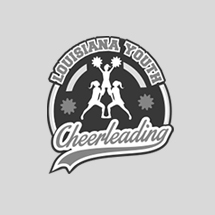 We want to help you and yours enjoy your Louisiana Youth Cheerleading experience. How Do I Register My Cheerleading Squad?